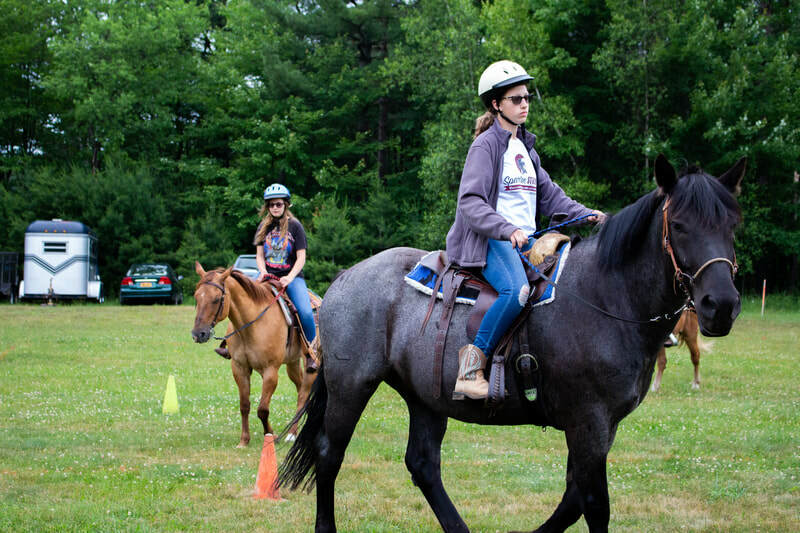 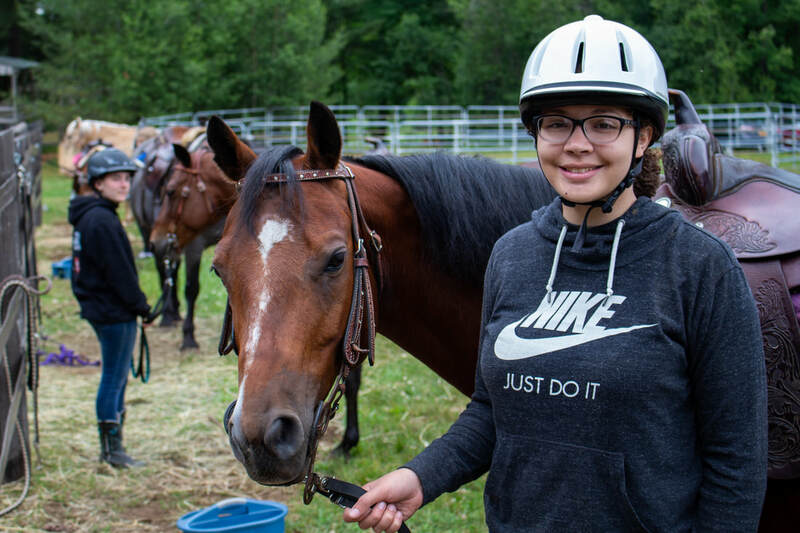 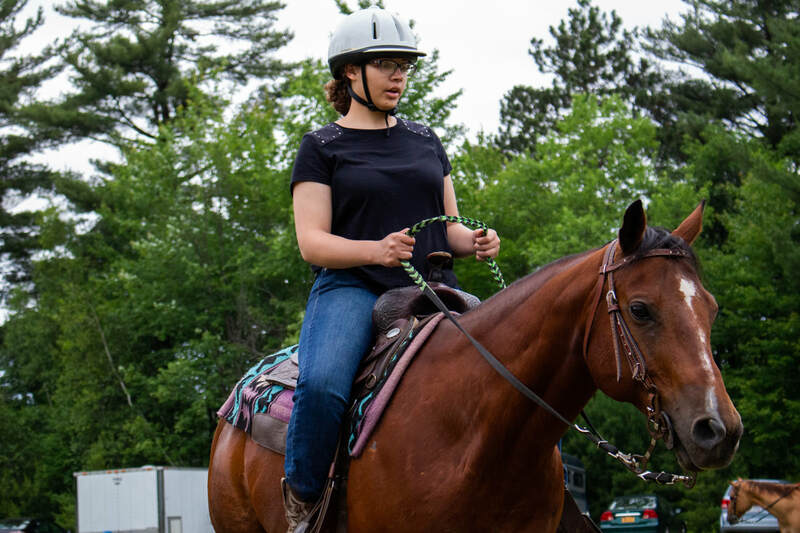 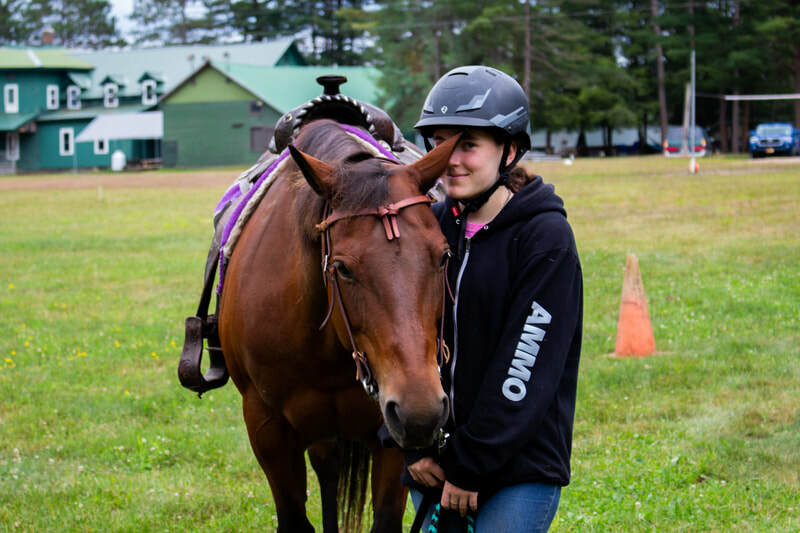 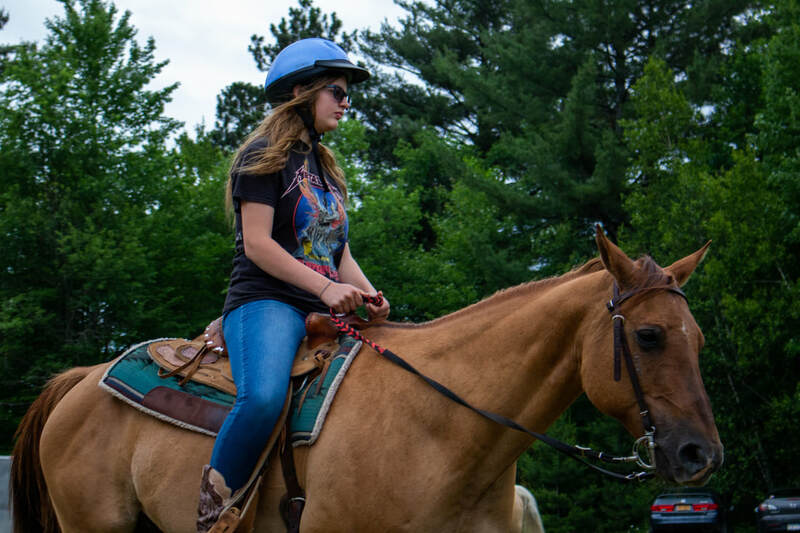 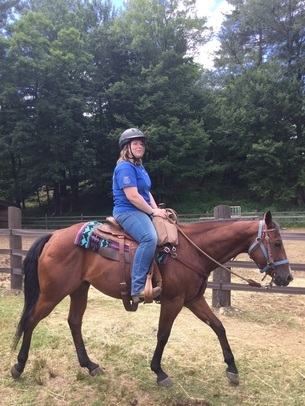 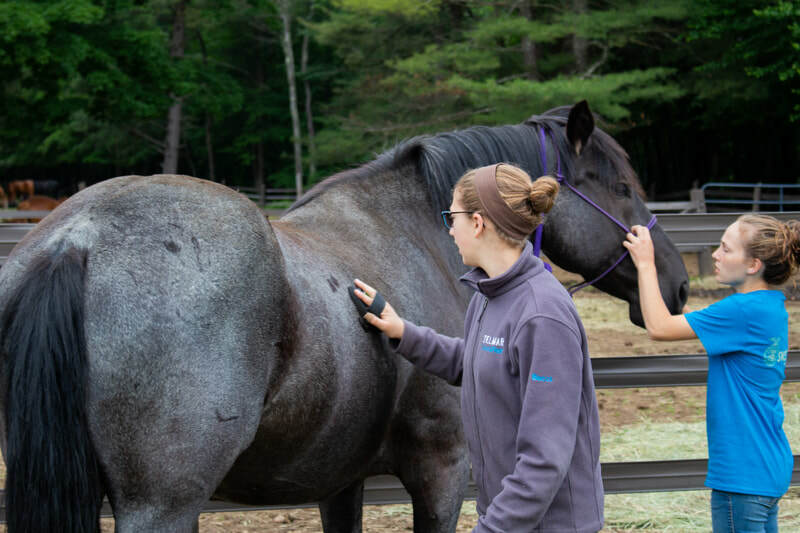 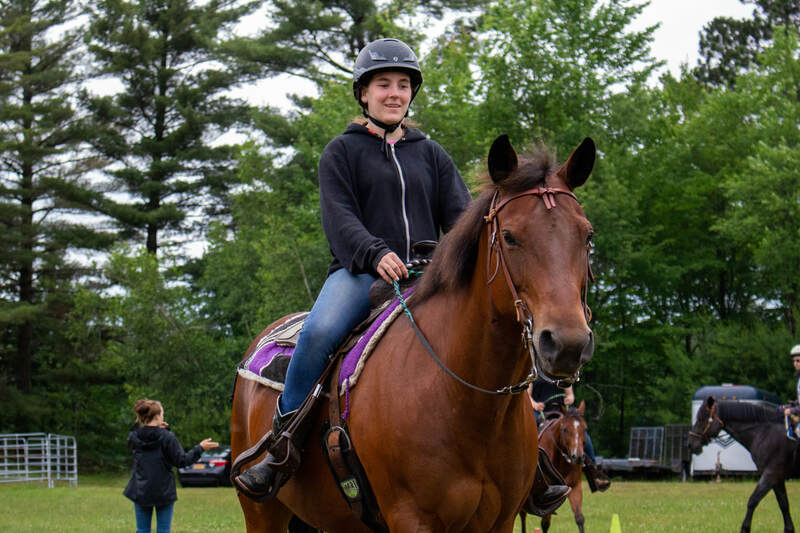 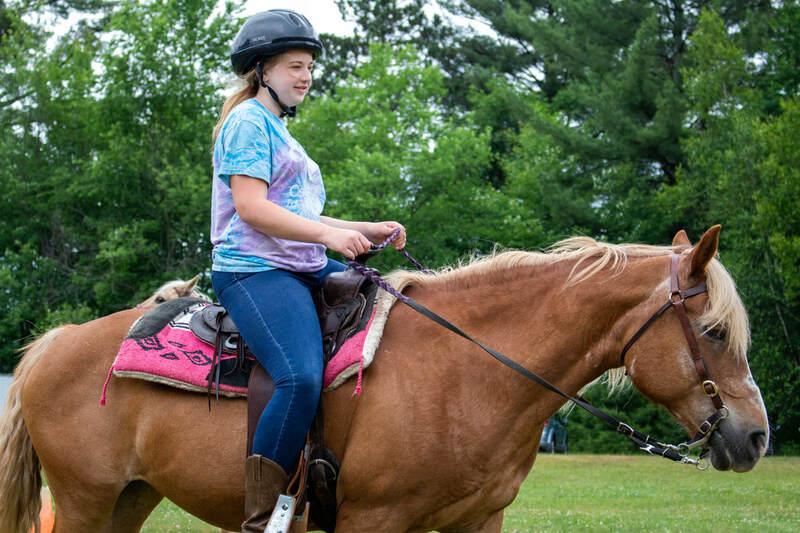 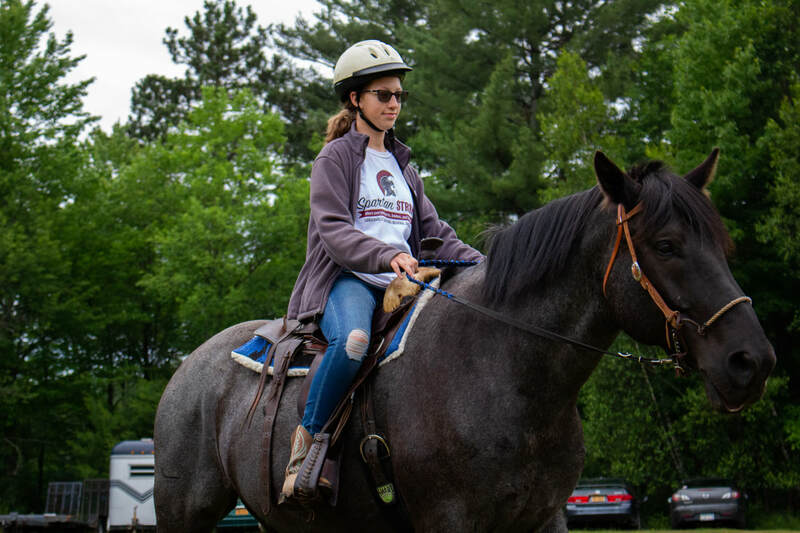 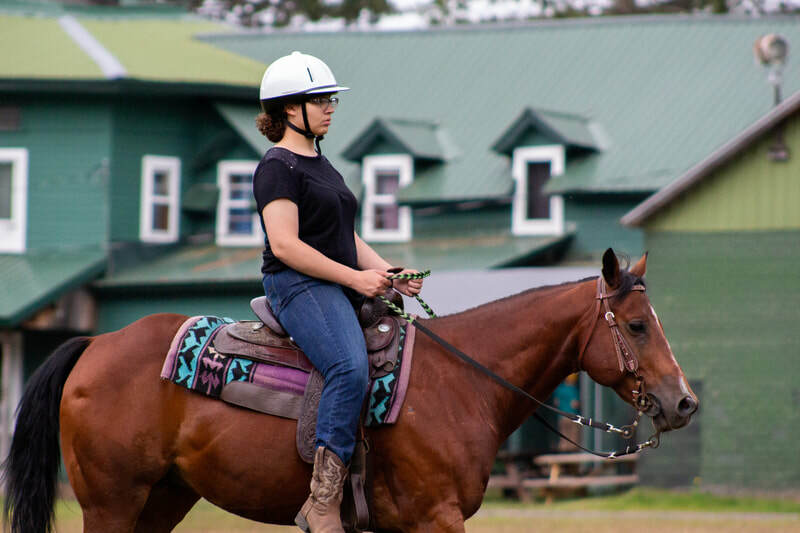 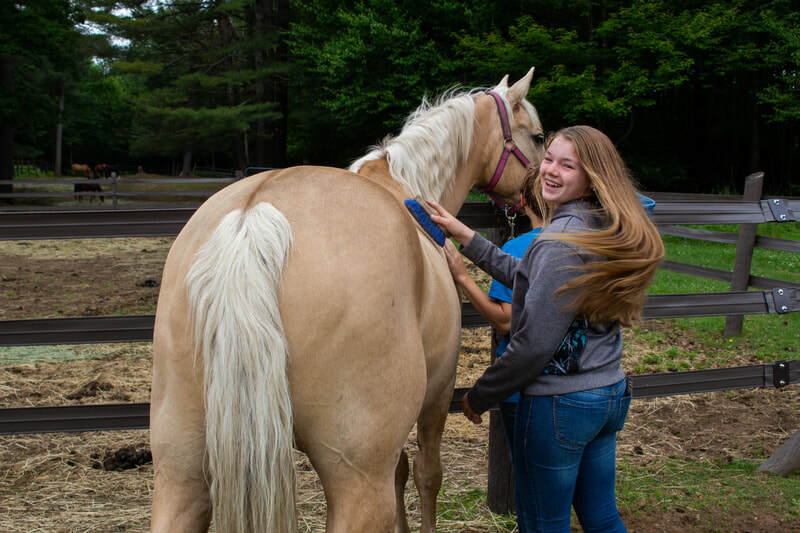 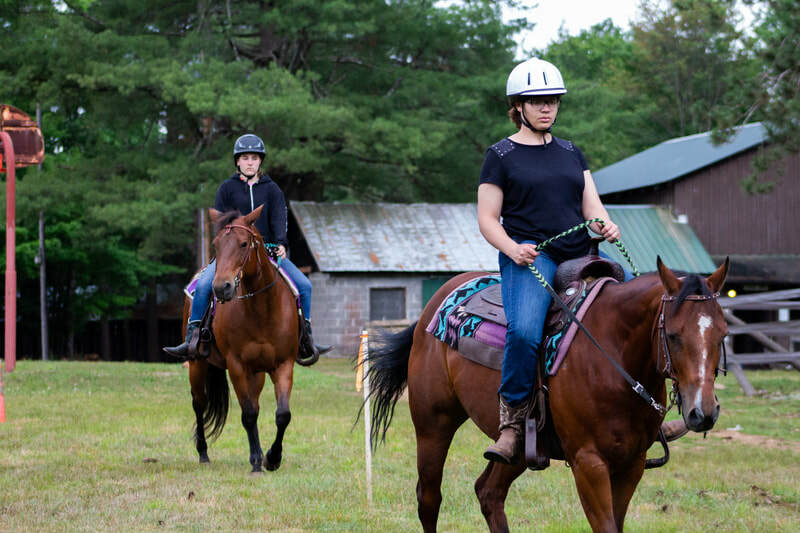 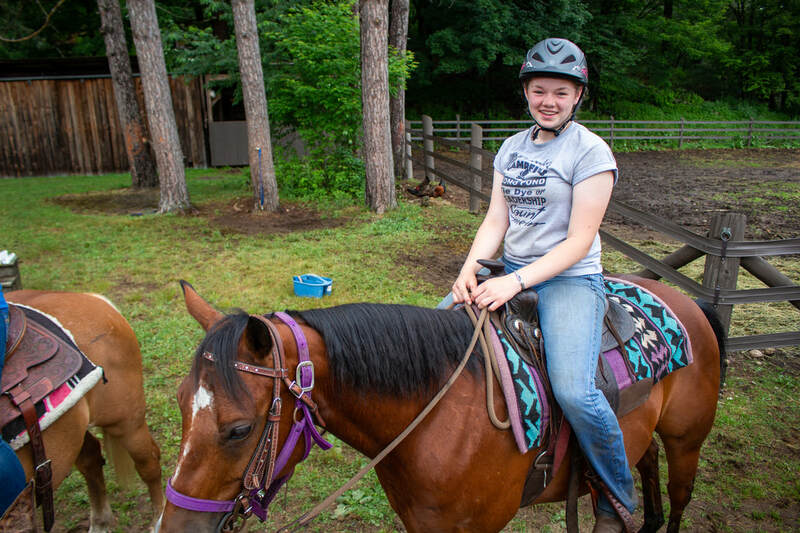 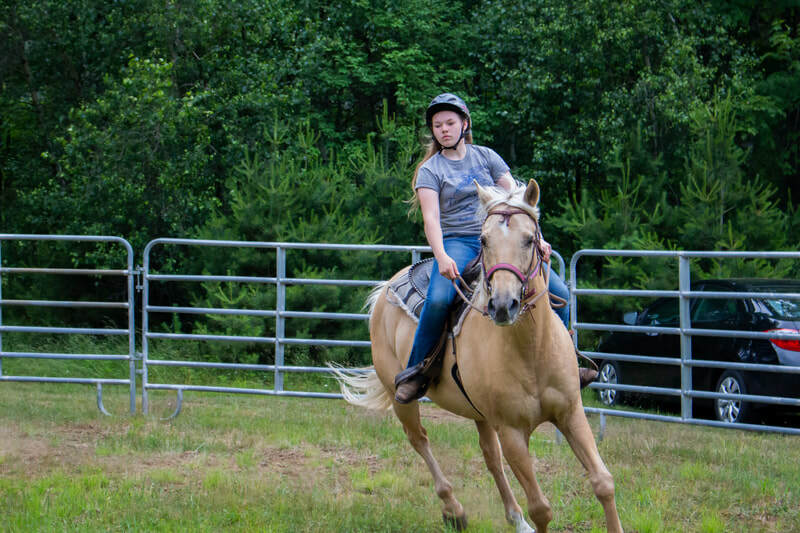 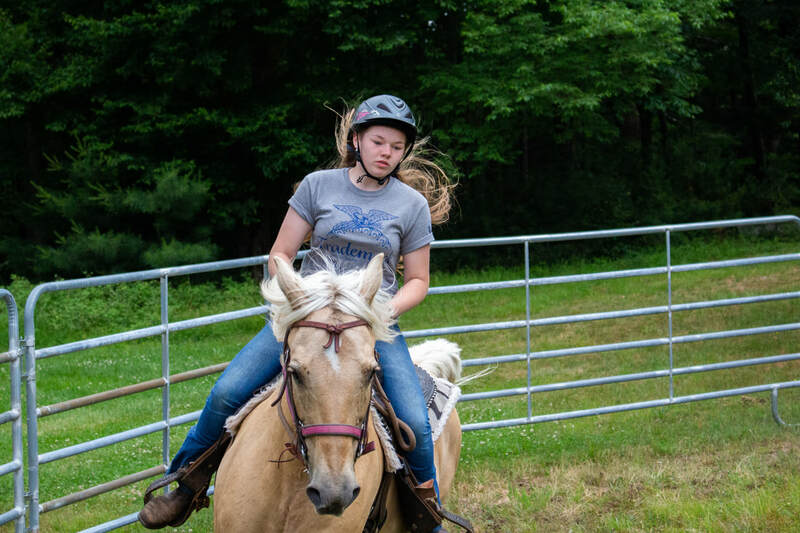 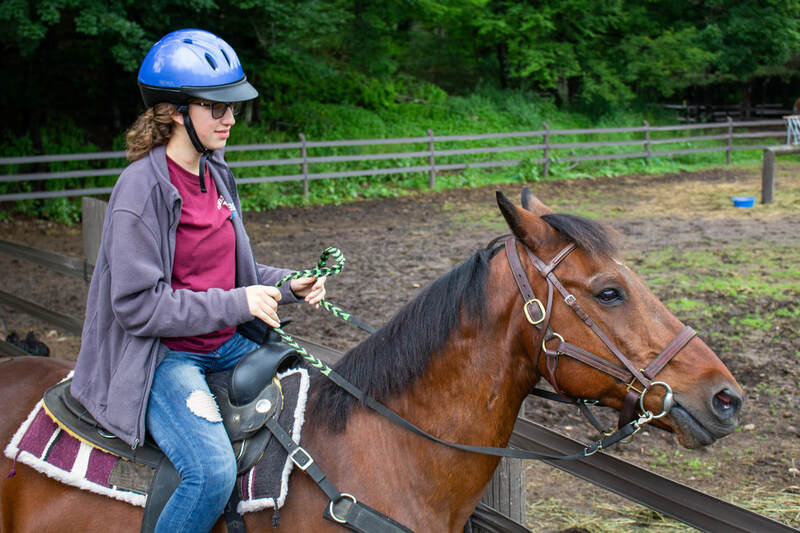 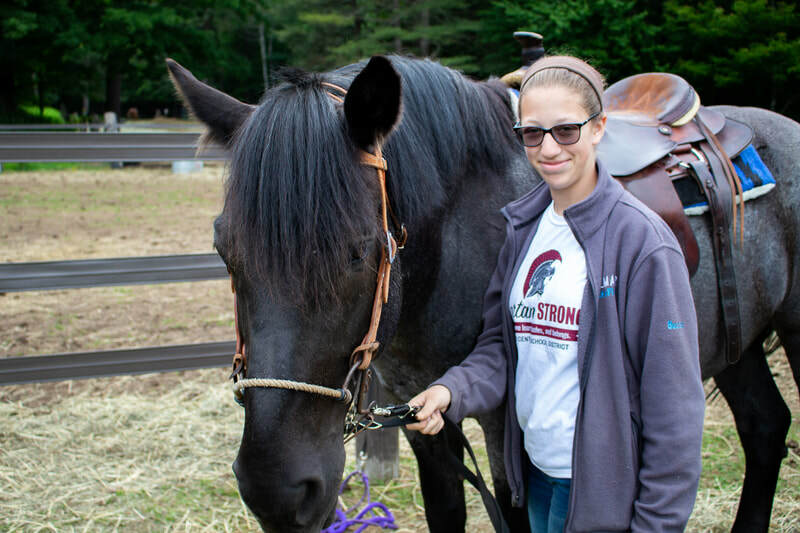 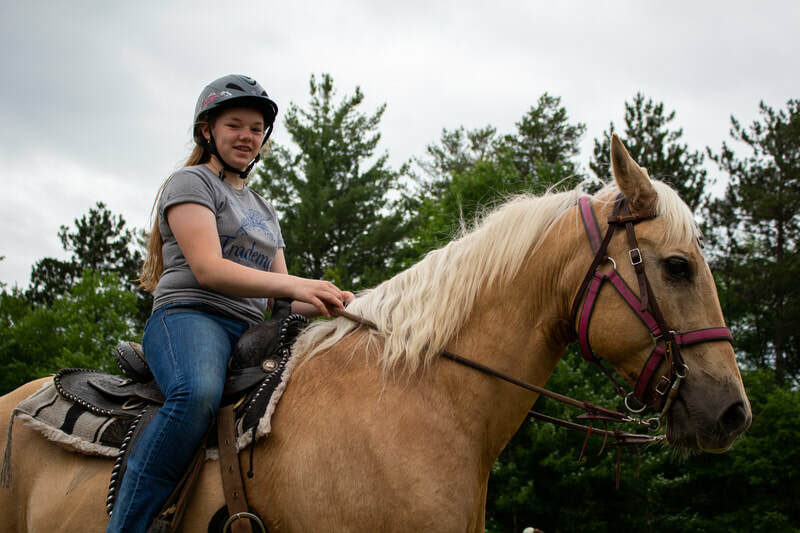 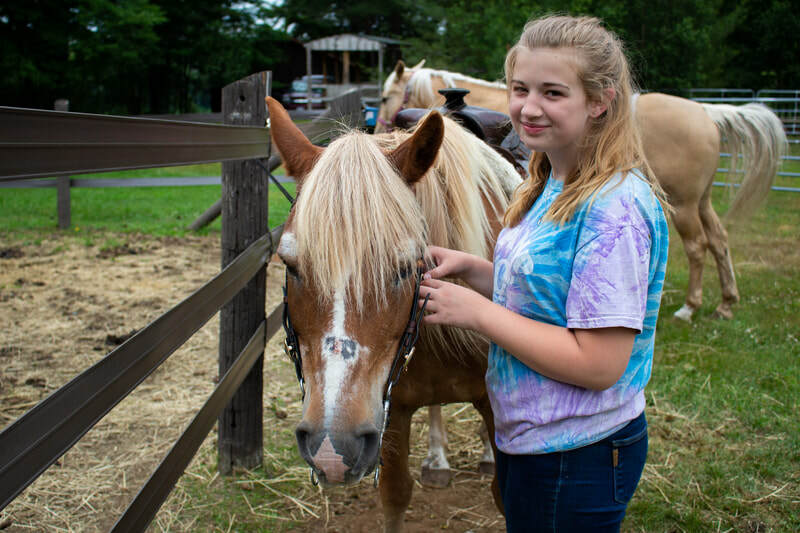 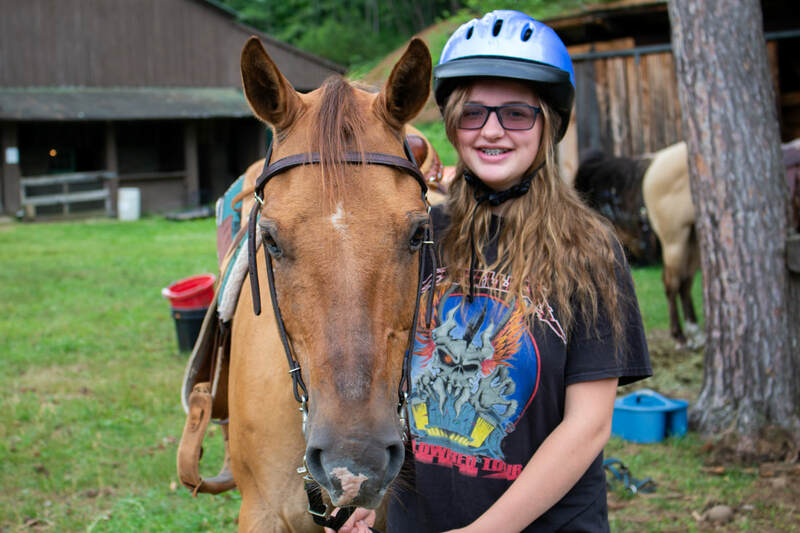 We have been experimenting with our horse program for the past few years and have decided on returning to a more focused trail ride format for 2019. 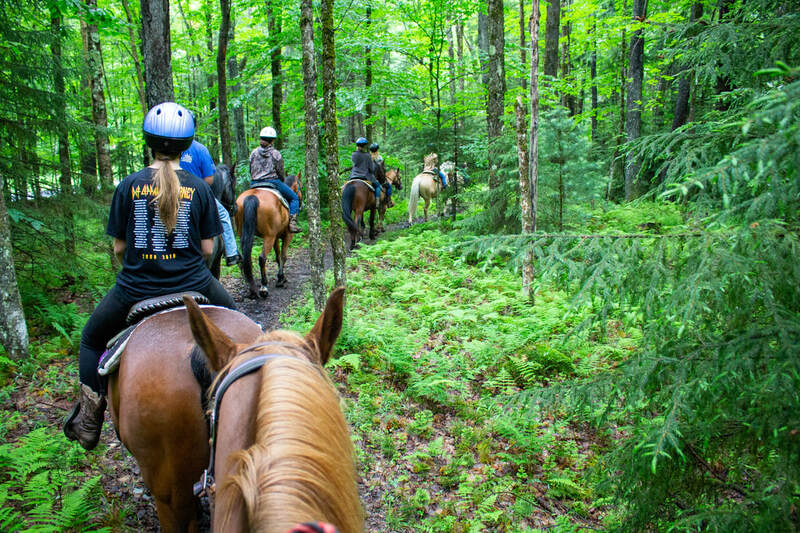 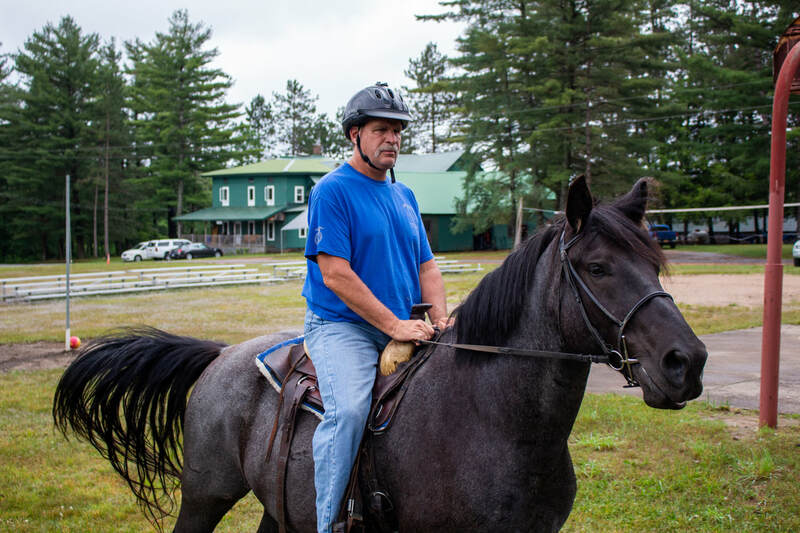 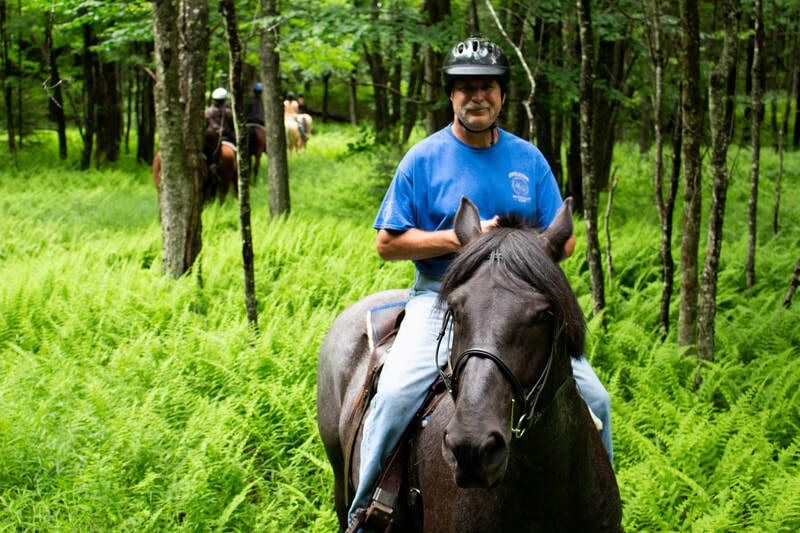 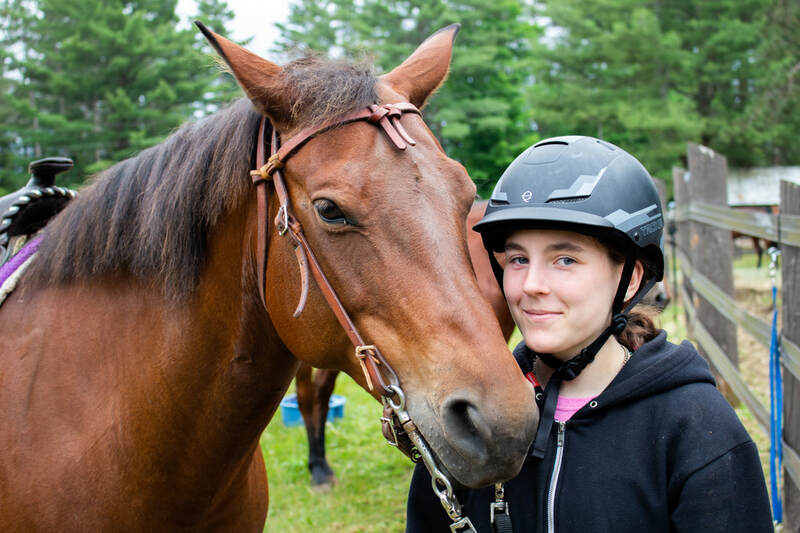 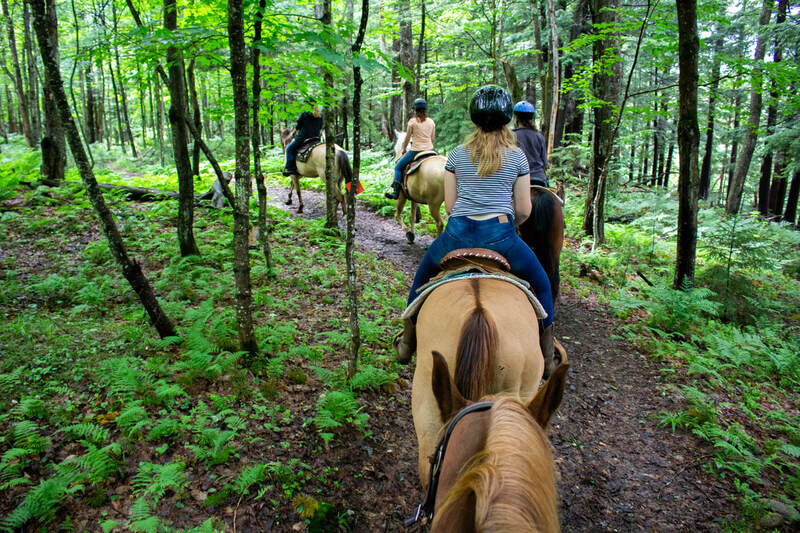 Oswegatchie will be operating 3 trail rides daily. 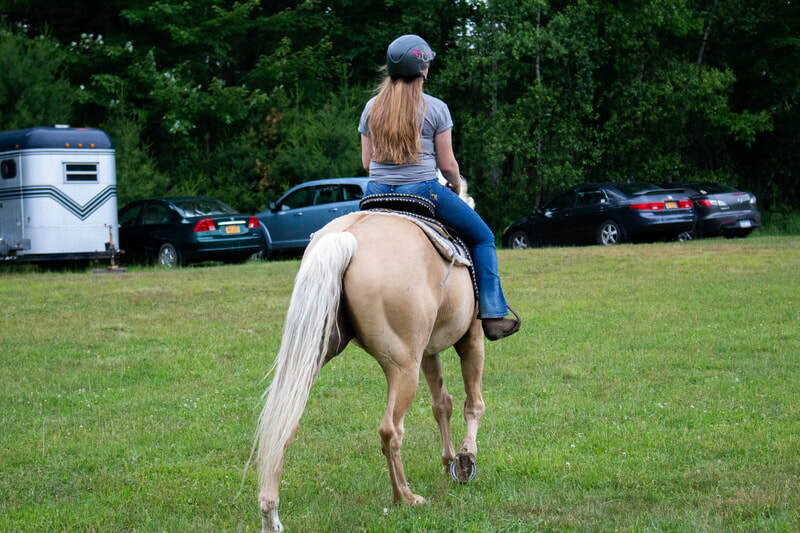 We will have 96 spots available each week that will be assigned on a first come first serve basis. 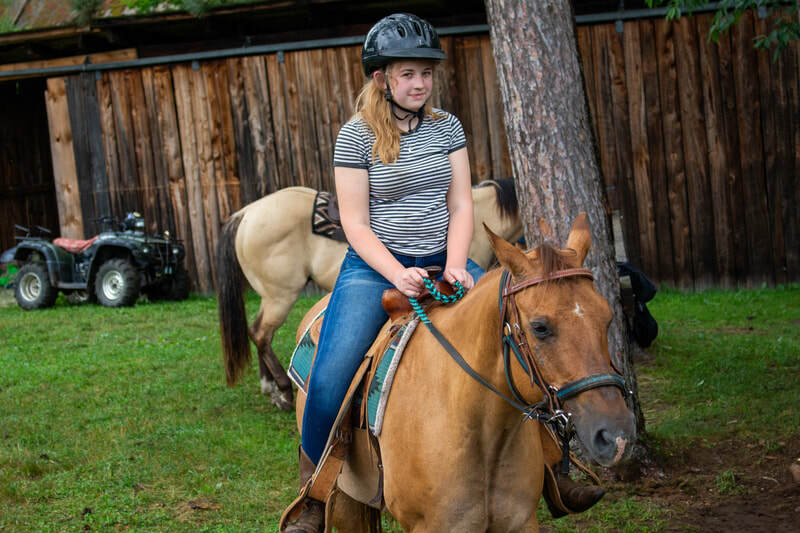 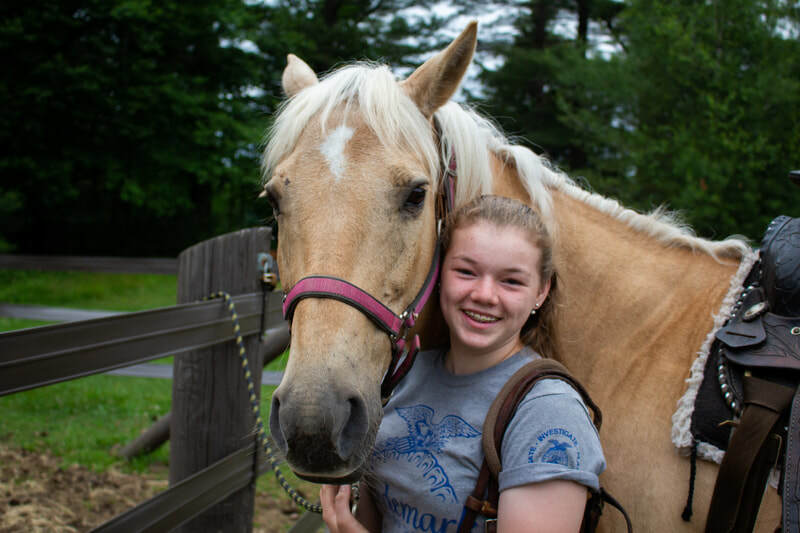 Horsemanship classes will during our first time block each day. ​All riders will need long pants and boots w/ a heel. 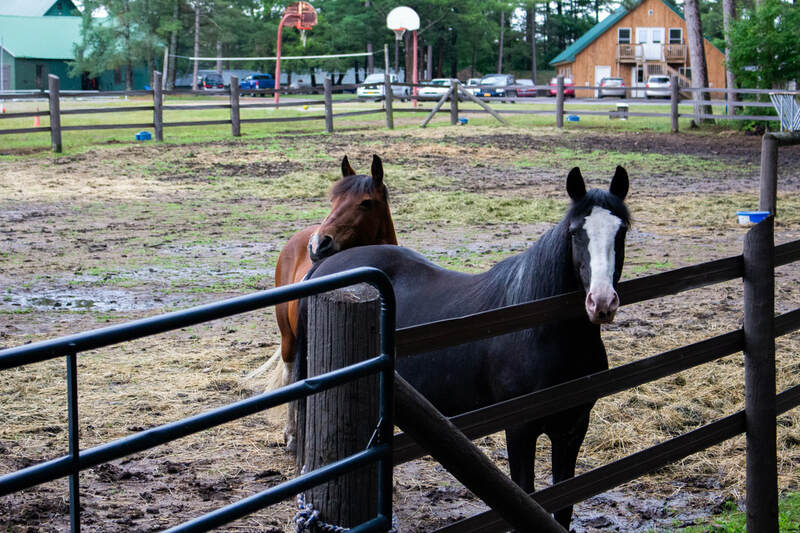 If a camper does not have their own boots, we have boots in storage. 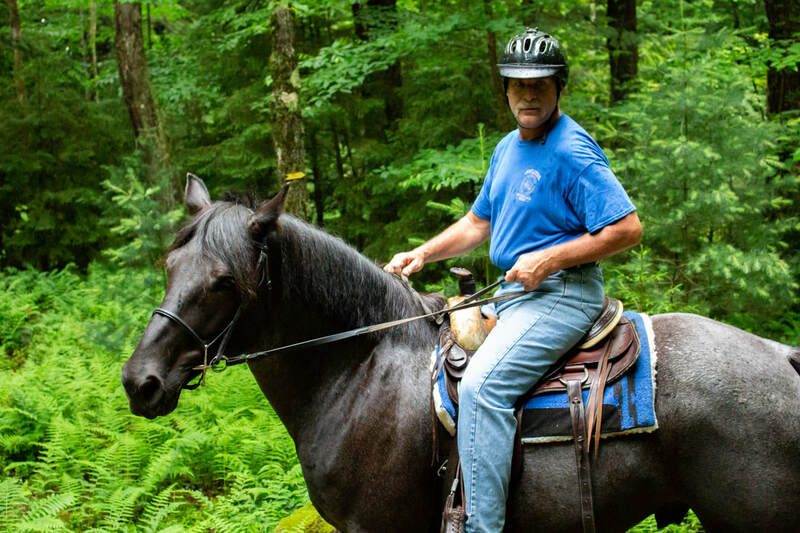 This is for rider safety and comfort on the trail. 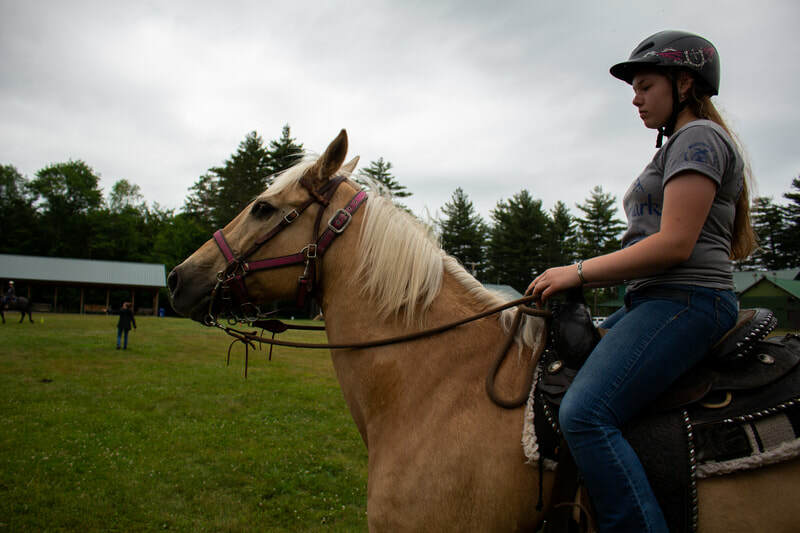 When a camper is registered online, they will have the opportunity to sign up for all classes in advance. 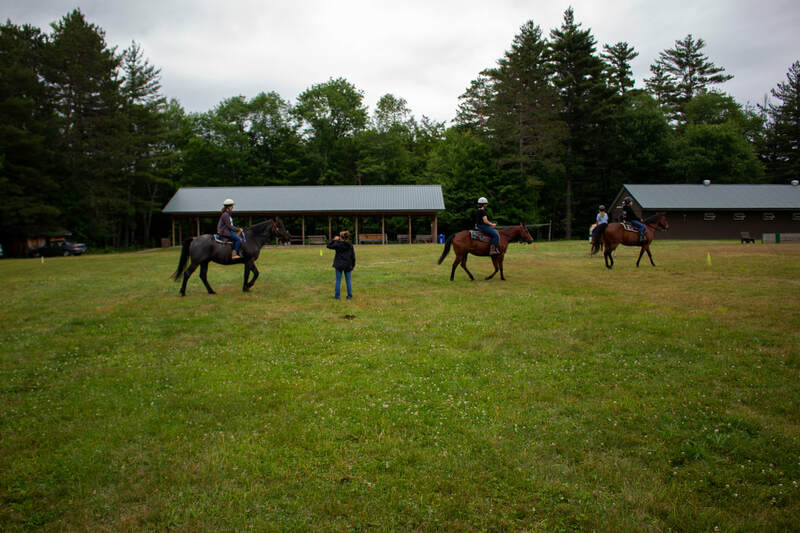 This way we will be able to take care of camper's first come first serve status.